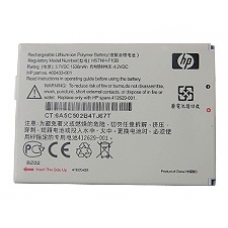 High Power Official HP replacement lithium-ion battery for the iPAQ rw6800 series. Always carry a spare battery and save running the risk of having no power on hand at that crucial moment. This is an original battery part as specified by HP. * HP Part Number: 405433-001. * 3.7v 1530 mAh Capacity.